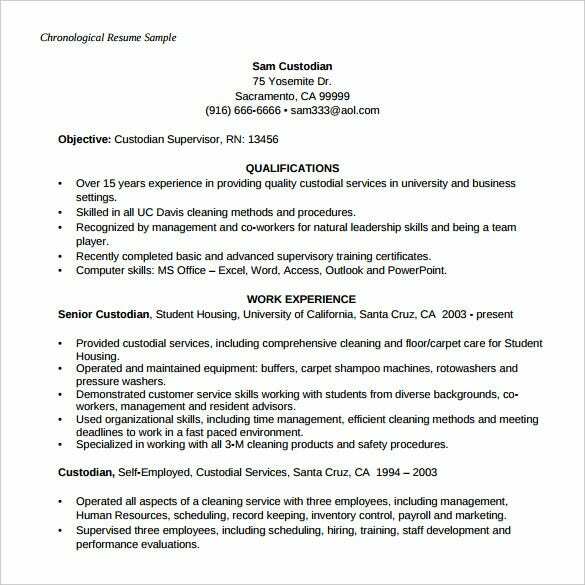 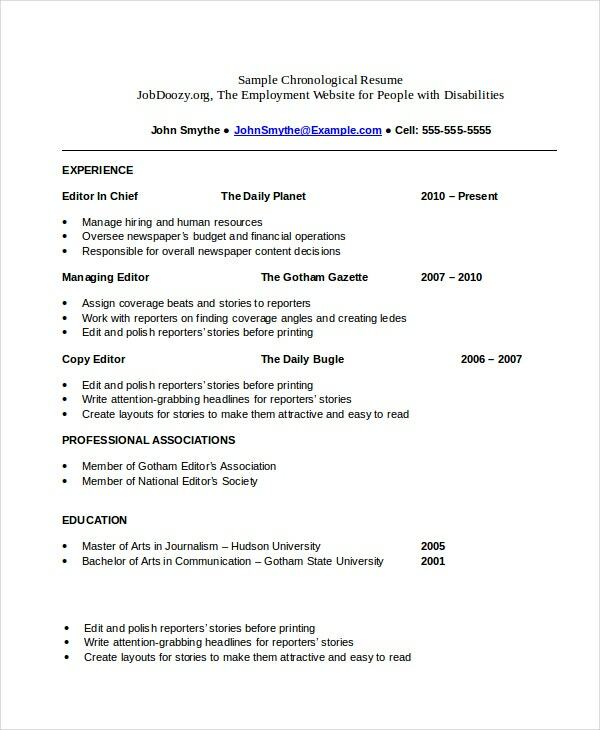 Chronological Resume Template – 23+ Free Samples, Examples, Format Download! 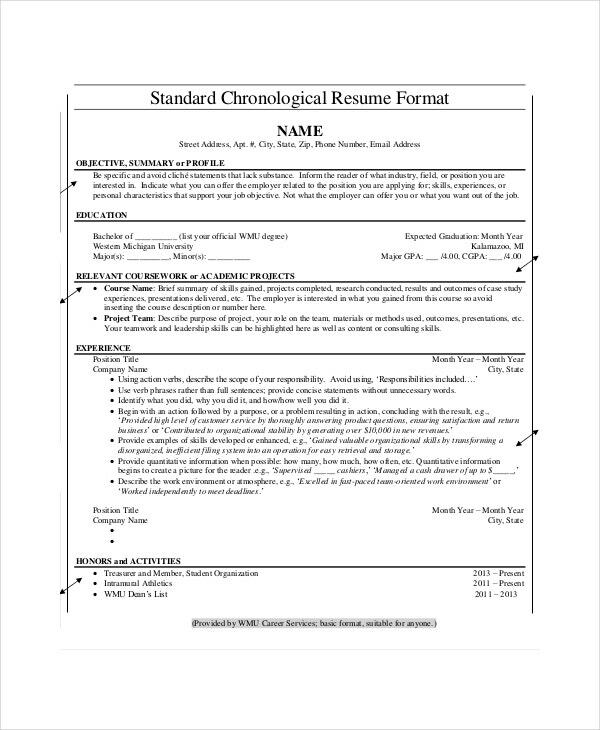 By definition a chronological resume is a type of resume wherein the events of a candidate’s professional life are recounted in sequential order. 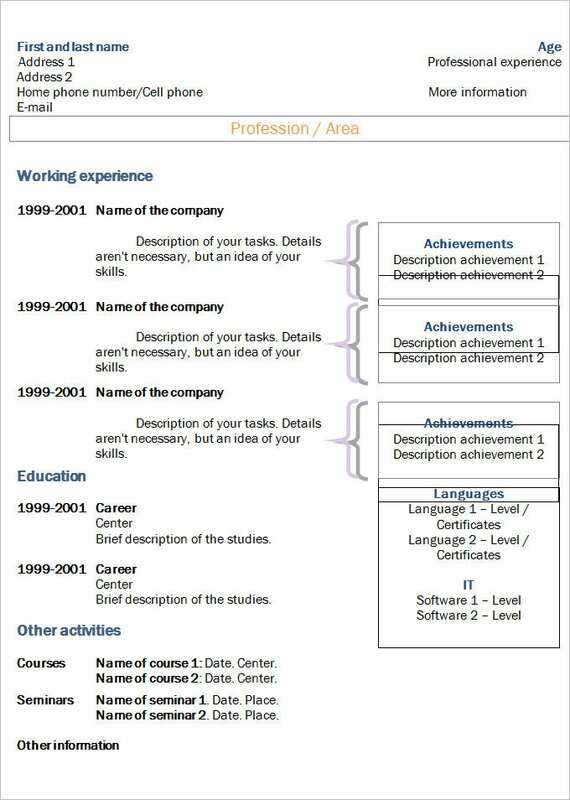 Also such a kind of resume is known to follow a systematic order – a hierarchy of sections in which different details pertaining to education, profession, and others are mentioned. 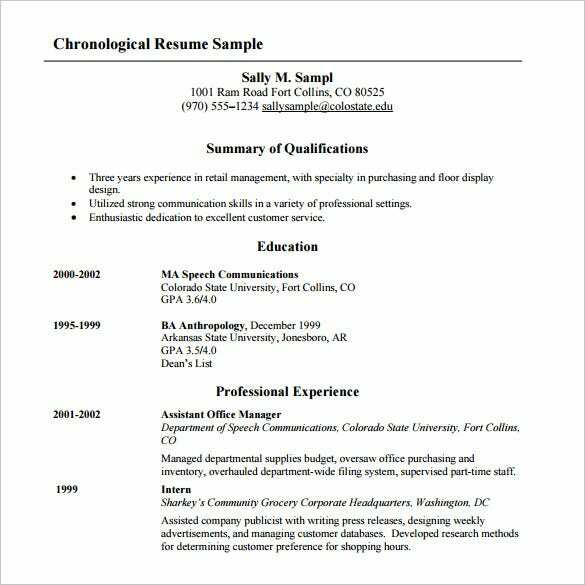 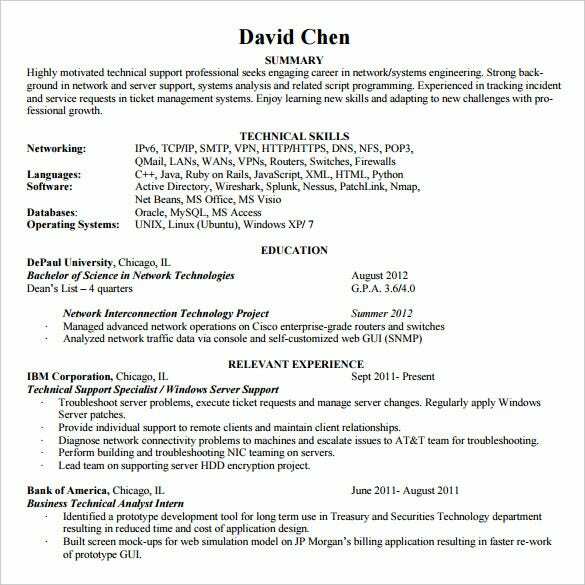 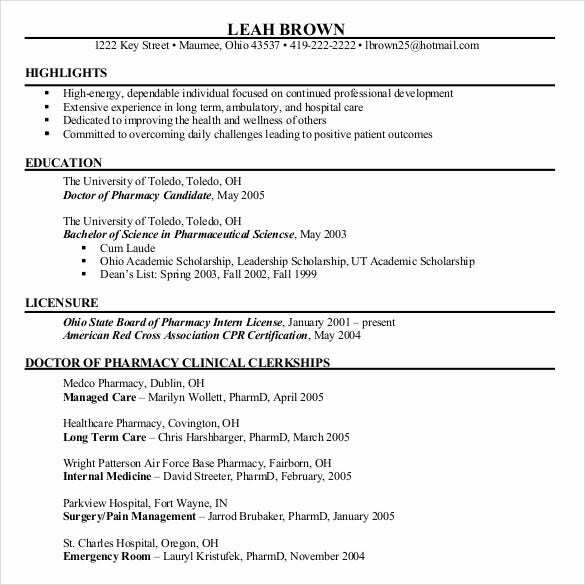 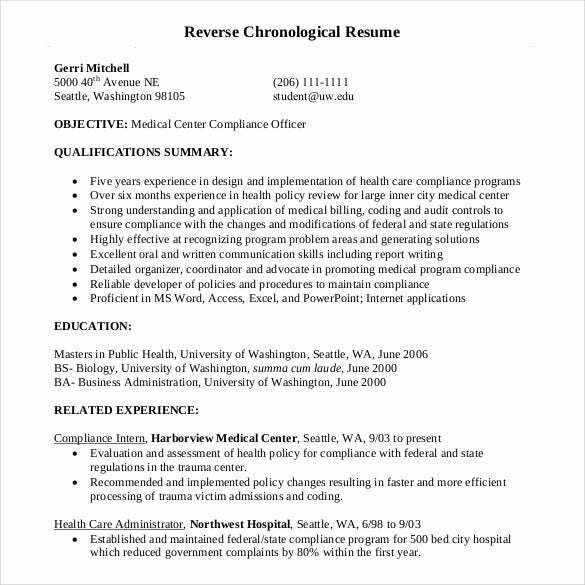 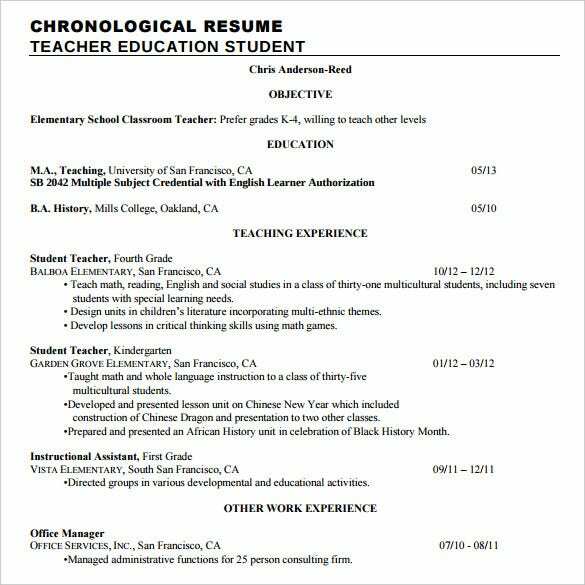 Chronological resume templates are easily available to help you design one for yourself. 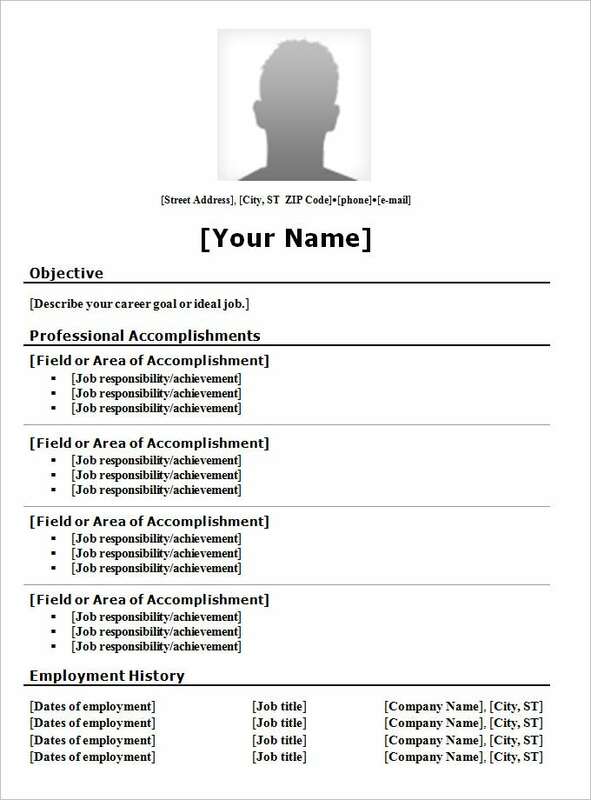 The formats are completely editable and user-friendly. 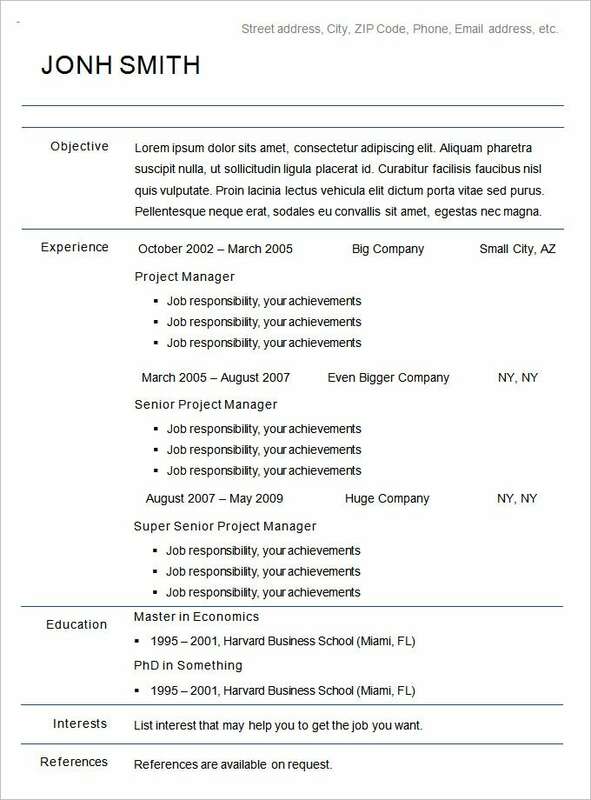 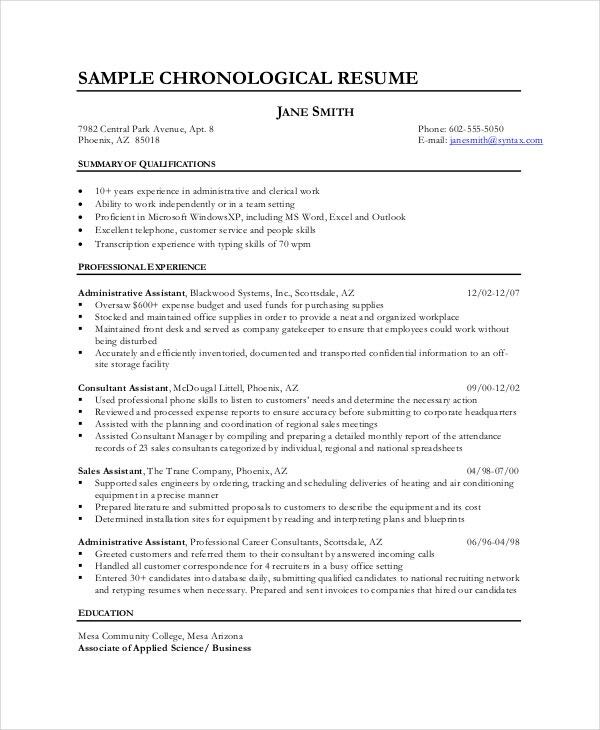 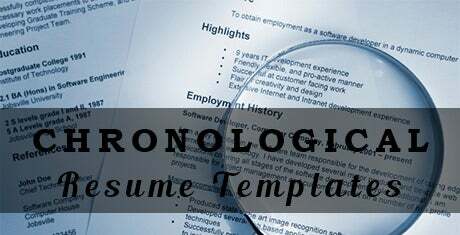 Any person can create a chronological resume using a chronologic resume template. 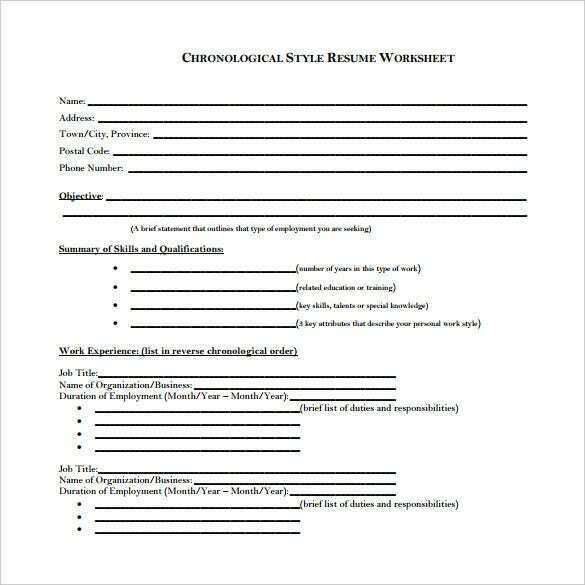 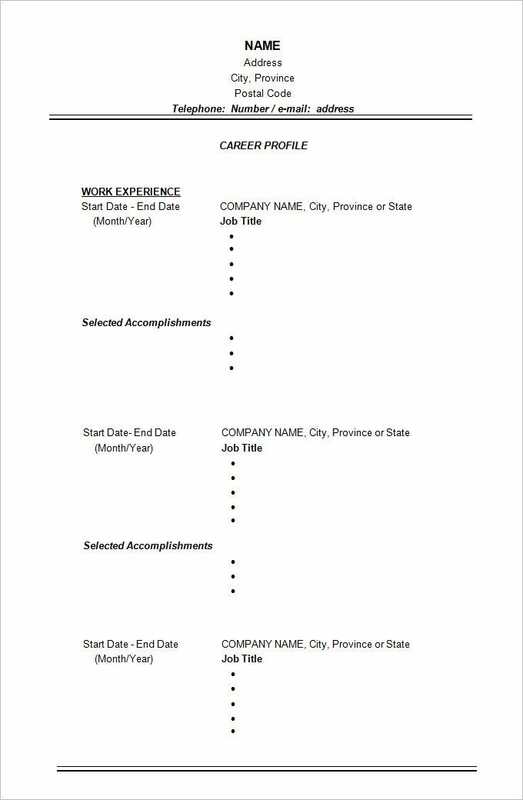 A chronological resume template is a document which acts as a readymade document for all those people who may not be clear about framing such resumes on their own. 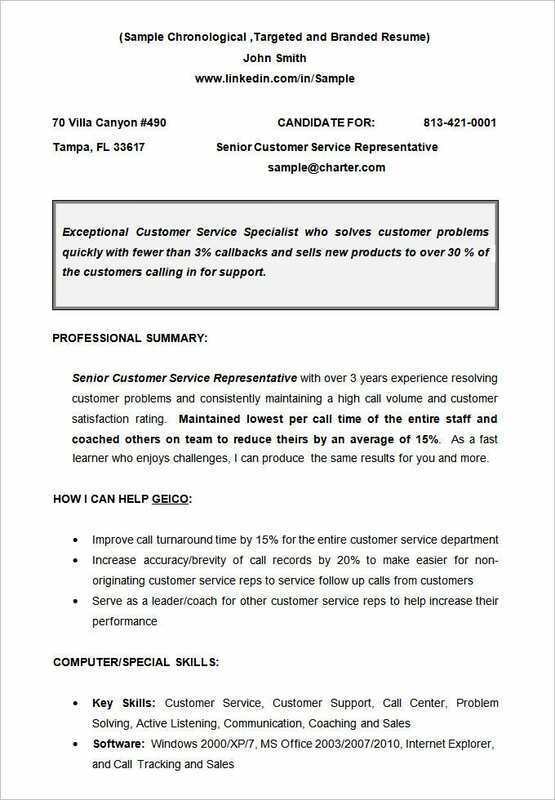 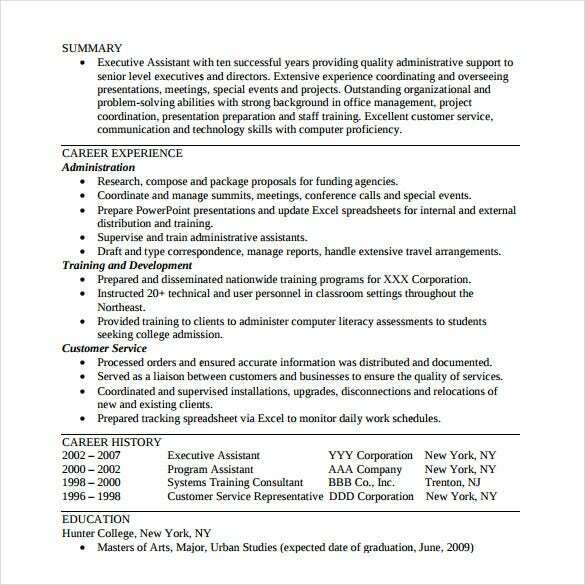 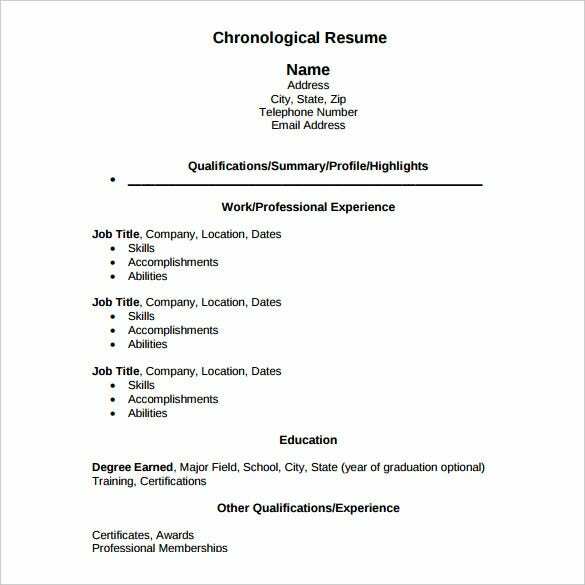 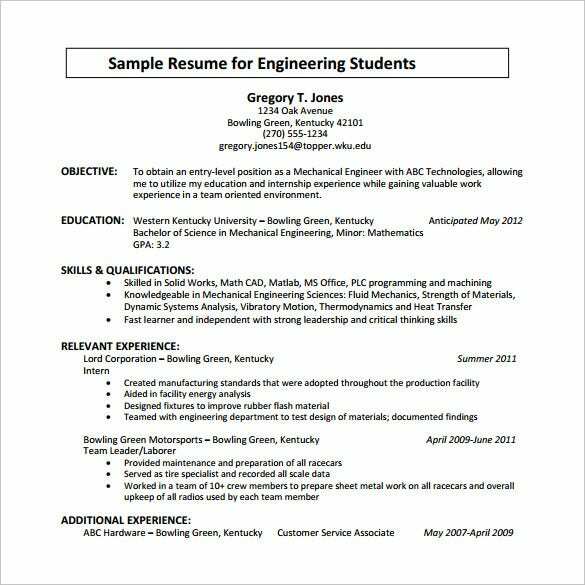 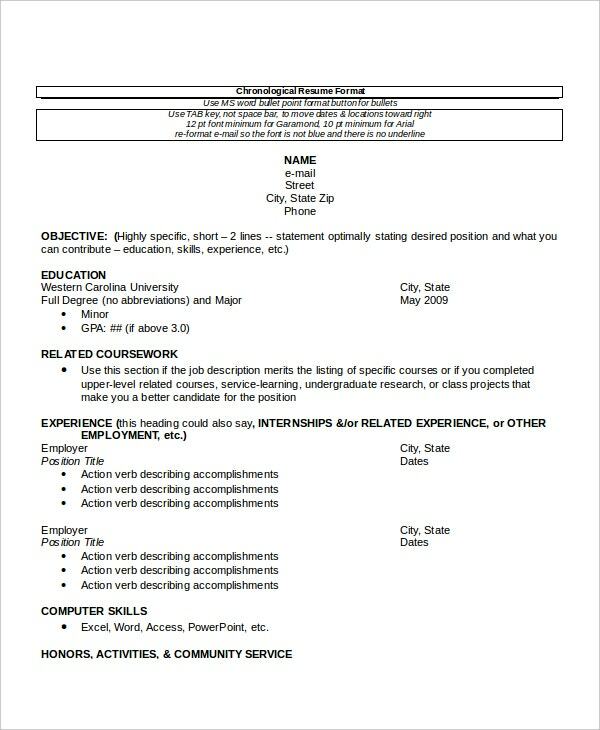 A sample chronological resume template is a document which can be used as a sample of a chronological resume template and serves as well detailed example. 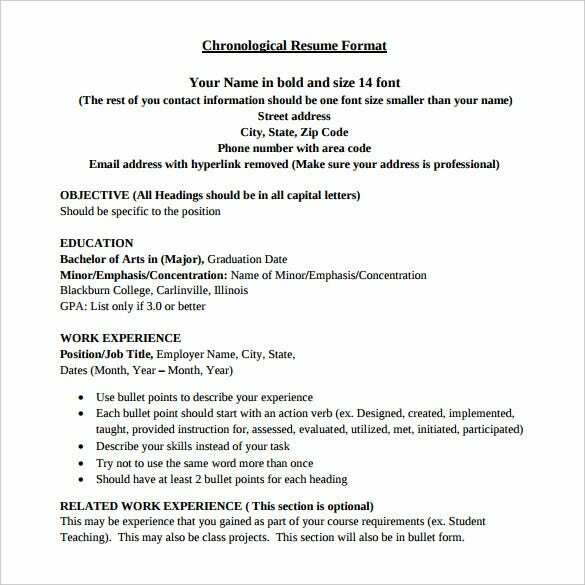 The sample can be very time saving as it helps to understand the format and also some of the content details that are needed in a chronological resume. 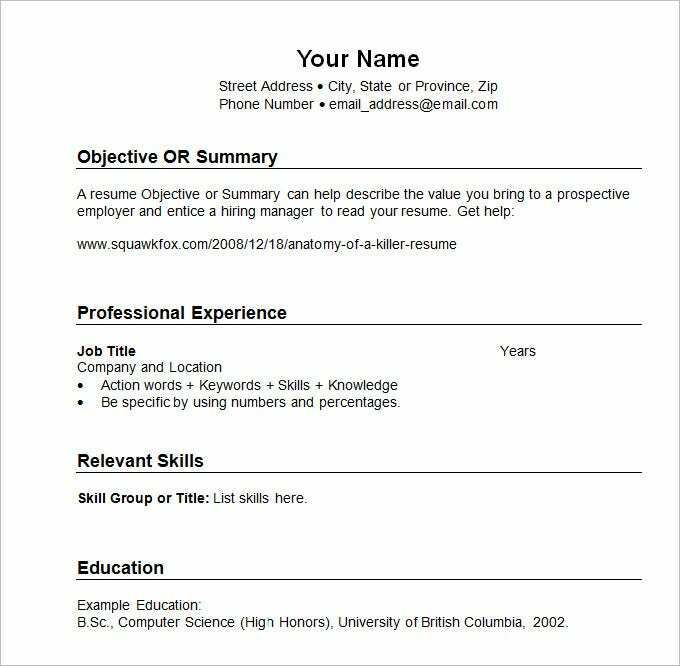 Infact, samples of Chronological Resume Templates can be used as it is to complete a resume which can be further used for job application purposes. 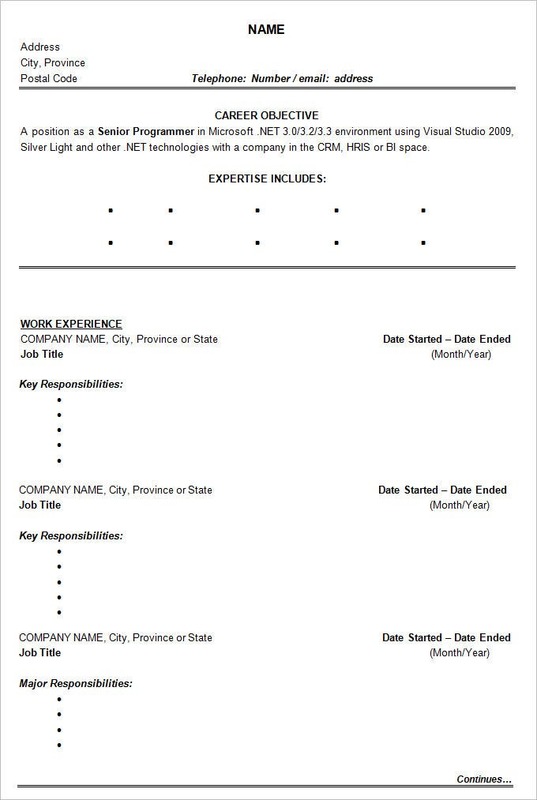 Many of these samples are available online for download and can be installed for free of cost. 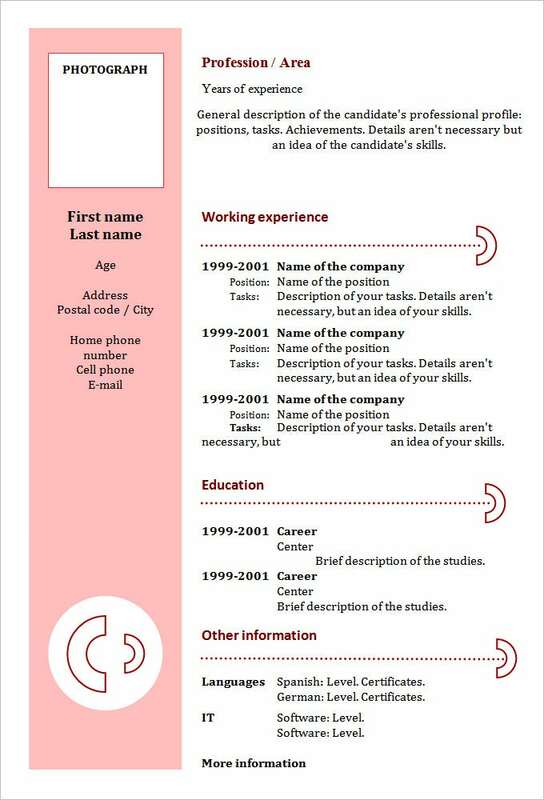 The samples are easy to personalize and hence save a lot of time of the user.